I’ve been tweaking my design a bit in my allocated blog time today – rather than posting. Check out the funky new drop down menu in the top right of the design, and first time (and regulars coming back for the first time) visitors will get a nice little welcome message from now on. Off to opening night of the Australian Festival of Chamber Music now. I’ll come back more cultured, but don’t worry, I’ve got a heap of trivial things to post tomorrow to get you through your weekend. NASCAR is the world’s dumbest motor sport. Here’s a flowchart guide to success. Pretty cool hey. It’s a bit like To Kill A Mockingbird – because it’s about Racism, and a guy who knows the law really well doing his bit for reconciliation and to bring equality to the legal system. 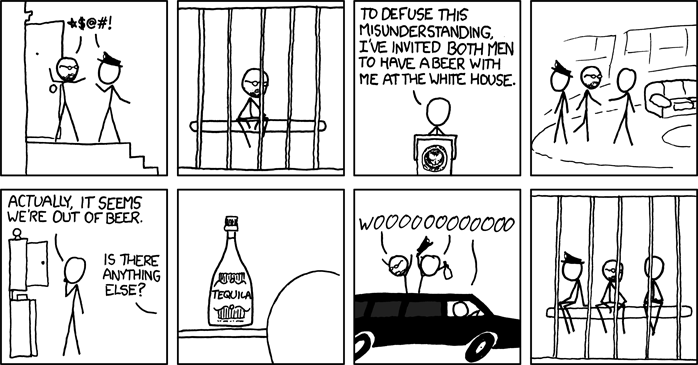 Anyway, XKCD has produced this comic strip – which was funny. Why is it that as a Christian I am suspicious of anybody who forms their entire worldview – scientific, political and eschatological – on the basis of Genesis, Daniel, and Revelation? Yesterday’s rumors have been confirmed: Michael Schumacher will take Felipe Massa’s place for the remainder of the 2009 Formula One season. Is this the demise of great Ethiopian coffee? I was going to post this – but Phoebe beat me to it. It’s funny. Actually, I should spell out – I am not stupid. There is no way known to man that I will be visiting Ghana any time soon. Dr Paul thinks differently. Because I made him… Evidently the wild goose chase I’m sending him on – back and forth to the Western Union office – is taking its toll. Thank you very much for your mail. my friend am go to western union now if i came back i will get back to you. my friend if i have any problem i will let you no because since last night am so worry about this problem. my friend i want to go now and meet the man in western union if i come back i will let you no. Am looking forward to hear from you soon. Thank you very much for your mail . my friend am not happy for all this that going on now. my friend since that time i call you on phone i want to western union to meet the man after the check again the told me that the money is not there. please my friend this type i never see it before that some one send me money i did not see. my friend am please you in the name of God come back to that western union you send this money collect this money back and send it to any order western union again and send me the information please because this one you send i have try all i can do to see that i pick this money but no way please. my friend this can of ward i never see it before since i have being in this office. my friend please try do very thing today so by tomorrow diplomat can come and deliver this fund to you. my friend as am sending this mail to you am so worry about this problem that come out now. since morning here the custom there calling me to burn the money i told them will have big now by collect the money. once again my friend because of the way i love you makes me being run round since last night for you to collect you fund. my friend as i told you try do it this way it help you and me so all this problem will do fast. i want very thing been round up this week so you can feel happy. Am loking forward to hear from you today. Something is wrong. All the details I sent him were correct…It’s time for me to sort this out, in person. I have been to see Western Union – they say the money has definitely been sent. And their records show it has been collected in Ghana. Now you are claiming that you did not receive the money and asking me to send it again. I am concerned. The lady at Western Union said I should be careful because she has seen people tricked out of money by people from Ghana before. I told her that you are my good friend. And that I trust you to be truthful to me because you are a Christian brother. Dr Paul, I hope this is true. I will not be sending money again by Western Union. If you have not received the money that I have sent then I think I must arrange a trip to Ghana to sort this out. I will book flights in the next few days. Will you be able to meet me at the airport and arrange accommodation for me – I must stay in a hotel with at least a 4 star rating and a reliable internet connection. Please can you book this for me. I will send you through my flight details shortly. I will come to your country for 5 days. That should be enough to sort out this matter. I will also bring a significant sum of money to ensure any problems with this situation can be ironed out. Please let me know as soon as possible if the money has turned up – if I don’t hear from you in the next 12 hours I will book these flights. Apparently it’s all Western Union’s fault and I should now use MoneyGram instead. Dr Paul is calling me every 20 minutes today – and I’ve ignored most of his calls. Am looking forward to hear from you today. I am a wealthy man. Paying to visit your part of the world, my friend, would not concern me. I have not been there. Perhaps there are business opportunities I can explore. I am concerned. I am wealthy because I do not take being ripped off kindly. I will no doubt be able to sue Western Union for lots of money – including my travel costs – if I get to Ghana and find they have stolen my money. My friend, I think that I will come to Ghana rather than pay more money to Money Gram. I will book my flights and let you know the details. The only thing that will stop my arrival is if you receive the Western Union money in the next few hours. Perhaps there has been some delay in the transfer clearing from Australia. Please let me know if my travel is unnecessary for this reason. I will not invest a second sum of money until I know what has happened to the first. That sounds odd. What is this $500 for? What exactly is this money for? I will not trust Western Union with my money again until I have been to Ghana to sort out this problem. In fact, I don’t feel comfortable wiring money via any service until I get to the bottom of things. I will bring the $500 with me, and further funds to cover emergencies. Thank you very once again. my friend i no you are not happy what western union do before. but i want to assure you that you will not going to have any problem again. please try send this money so i will go and burn this document and send to you before you come to ghana. I can not answer more phone calls today. My colleagues are already suspicious. My friend, I do not want people to know about this deal they will want money from me. Dr Paul – it worries me that this money has disappeared – perhaps you should try Western Union again just in case – I have spoken again to the local lady, I don’t think she has any idea what she is doing. My Friend, please, can you go to Western Union and explain the situation and ask what could possibly have happened to my money. I will not send more to your country without delivering it in person. The lady at Western Union, she said that it’s probably a scam. That you have taken my money and want me to send it again so that you can take more. I don’t believe her – but you remember we had some problems earlier where I believed you to be a criminal. Dr Paul, I think, before I invest more money in a trip overseas, or send you more money by wire, I think you need to at last, take a step to demonstrate good faith. I need you to send me a photo to reassure me that you are who you say you are. I need this Dr Paul, or the deal is off. I have already spent $850 for nothing. When you are as rich as me that is not a lot of money in the big picture, but you don’t get rich like me without being careful with your money. And I am a prudent and careful man. You must do this. Send me a photo holding a sign like I asked to begin with, or the deal is off. As a Christian brother I ask that you hold a sign with your favourite verse from the Bible. Please Dr Paul. I can not tell you how important this photo is to securing this deal and my travel to Ghana. Comment spam is wildly entertaining. I love how he/she insults me and includes a smiley face as though that validates his/her statement. 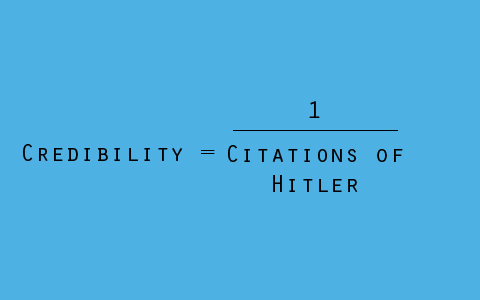 It’s the equivalent of adding “no offense” before saying something you know is offensive to somebody. When something you read online really bothers you, do you try to let the author know? Peter Costello has a piece in the SMH on proposed changes to the discrimination laws, he chooses to focus particularly on the ramifications of changing this legislation for Christian schools. Forcing religious schools to make employment decisions free from preference to religion sounds equitable – but there’s no way a Christian School would hire an atheist teacher – they’d find other reasons to not hire them. It’s almost impossible to police. So it’s not a concern. It is dumb though. And it’s the reason that Christians should push for a clear separation of church and state. It cuts both ways. Simone hasn’t posted since Monday. Stuss has posted just once this week, while Ben has posted just once today. Izaac has posted twice. Tim and Ben (Bathgates.net) once. The usually reliable Craig has posted only nine times this week. The man known around these parts as “The Moff” (I saw somewhere that someone called him that to some consternation) – has posted four times. And the rest of you… what are we procrastinators to do? Commenting would be a start. Lets talk. Yesterday’s Dr Paul post got me feeling a little bit nostalgic. I miss our late night phone calls. I decided to see if I could redeem our relationship – and pursue the conclusion of our transaction. I ate humble pie. I apologised. I wonder if you have had a chance to reconsider this arrangement. I would like you to consider continuing with this transaction under the terms dictated previously. As a sign of good faith I will be transferring a portion of the payment to Emmanuel via Western Union when I receive your reply. And he took the bait. Thank you very much for your mail. how are you today my friend. my friend before you make my main to feel bad but now i no that you main have come down. so my friend since that time you fund is in airport waiting for you but because of the way you make my main fee bad make me that i did not contact you again. my friend that last time i try all i can do to see that i help you but you do want to understand me. but if you have come down just go and send it money today and get back to me fast so diplomat will live first tomorrow morning. My friend as am sending you this mail all arrangement have make to deliver this fund to you this very week. but friend just belive me that i will help you got you fund this week if you follow my word, but am happy now you main have come down because i did not like if am telling somebody truth it will hear me. so my friend please as you getting this mail now go and send this money fast. Am looking forward to hear a good new from you today. Now, I’ve been doing a little bit of reading up on the whole scambaiting thing – Gilbert from scambuster419.co.uk – is the master. He has devised a number of ways to pay the scammers, without forking out any actual money. I decided to take this game to a new level… enter, the Western Union receipt. 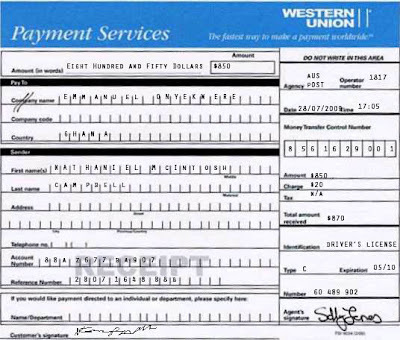 I went to the local Western Union agent to do the transfer – attached is a poorly scanned copy of the receipt. The post office I visited to conduct this transfer had very old equipment. I will send you a better quality version when I can. Right. That’s official looking. I’ve paid my dues. It’s time for Dr Paul to come through with the goods. My friend i have big problem now in western union the paper you send to me for the payment ,the MTCN number is not ok. my friend please go back to western union now fast and go am collect the information again because this one you send to me the MTCN number have mistake. my friend please try do it fast now am in western union waiting for you. so by tomorrow diplomat will start coming to deliver you fund to you. my friend as i want to western to pick up this money the western union the find this mistake. please as i told you go now and collect the correct information please. my friend please try do very thing fast now so i will run down to airport and give them this money.Am looking forward to hear from you now. I am sure the details are correct – I also had to give the clerk a security question – they said these are mandatory for transactions to your country. The question – was "what’s your favourite bible verse" – the answer is Exodus 20:15. I got into Western Union’s local agency prior to their closing for the day – that receipt is exactly what they provided me. You may need to work this out with the clerk on your side. This is when the phone calls started. I’m not ready to talk to him again just yet. I suspect he stole my money. Thank you very much for your mail once again my good friend. my friend am not lair to you am telling you the truth please. my good friend i can collect this money and told you that i did not collect. my friend the code i try it by my hand in western union web site the code is not OK. my friend am please you to go back to that western union you send this money and please them to check it for you again so the will give you correct code please. my friend since that time am standing in western union in fact not happy will them the time the check it and tell me the code is not correct. my friend let you main come down, try go now to western union send this and tell them to give you the correct code please. my friend since morning here am run round in airport to see that diplomat will move today. my friend i can lair to you am child of God. please take it easy very thing will being ok. Indeed. Computers. Who can trust them. The Western Union system must be down… I have a few ideas of what might be causing the hold up (other than that I didn’t actually send any money of course…). Perhaps the payment won’t clear for a day or two – I did pay by cheque. You might need to try again tomorrow or the next day. I will confirm that the details are correct – what number did you try? They also said you’d have to go in person – not on the website – because you are in Ghana. There are special rules dictating transfers from Australia to some African nations. Thank you once again my friend. my good friend since am in this office i never see this before. my friend please have you contact the western union where you send this money since this problem come out? please my friend if you did not contact them please try contact them so very thing will be clear fast. my friend by now diplomat have to live Ghana today but because of this problem is in airport waiting for me to come back and do the payment before he live Ghana will this fund. my friend this is transfer control number:8561629001 i see in that paper you send to me. my friend i will never lair to you in my life. my friend am Man of 56year , i have three sons so for me to lair to you can not help me. so my friend take my word very thing will be nice. my friend since today am never have Rest because of you try help me as am helping you here. Am looking forward to hear from you today. Hmm. He’s never seen this before. Well, it must be a Western Union problem. The scent of payment got him pretty excited. I missed 6 calls from him last night. So this morning I sent him these two emails. Has the money arrived? I trust that this has all been sorted overnight and we can now proceed with the transaction. Let me know what must be done in order for the diplomat’s trip to be a success. That number is definitely correct. I have spoken to the lady at Western Union here – she said there are some computer issues that have prevented the transaction being registered with the Internet service – and said you need to go into the Western Union branch nearest to you to claim the funds. The funds have definitely been transferred and cleared. The nuttiness of the Citizen’s Electoral Council knows no bounds. Their latest press release comes complete with a 10 minute video of awesome badness. They’ve uploaded it badly on YouTube (it doesn’t work properly) – so you’ll have to check it out here. They hate the Greens more than I do. “Do you believe the world is overpopulated? Do you believe the world’s human population should be reduced? You’ve got to watch the video. I especially love where they say they’ve thrown down the gauntlet to Al Gore. Lyndon LaRouche challenged him. At a CEC conference. That nobody heard of, except the people they spam with media releases. I’d hardly call that a gauntlet throw down. You must watch the video. And check out the CEC website – everybody who disagrees with them is a Nazi (including Obama, the climate change movement, and anyone pushing swine flu panic). The fun starts at 7.07 where the narrator puts on a British accent. Steve Fielding is in trouble – because if these guys are for you, you’re going wrong somewhere. Stories about missing children are always concerning – sometimes they end “well” – it’s unclear just how well this one has ended – but a 12 year old who was missing overnight rocked up at school today… I’m surprised no sub editor has used that heading yet. Karmichael Hunt is reported to be switching codes. To AFL. Huh?